THEN: Marie-Chantal Houde in the make room at Fromagerie du Presbytère developing Zacharie Cloutier five years ago. 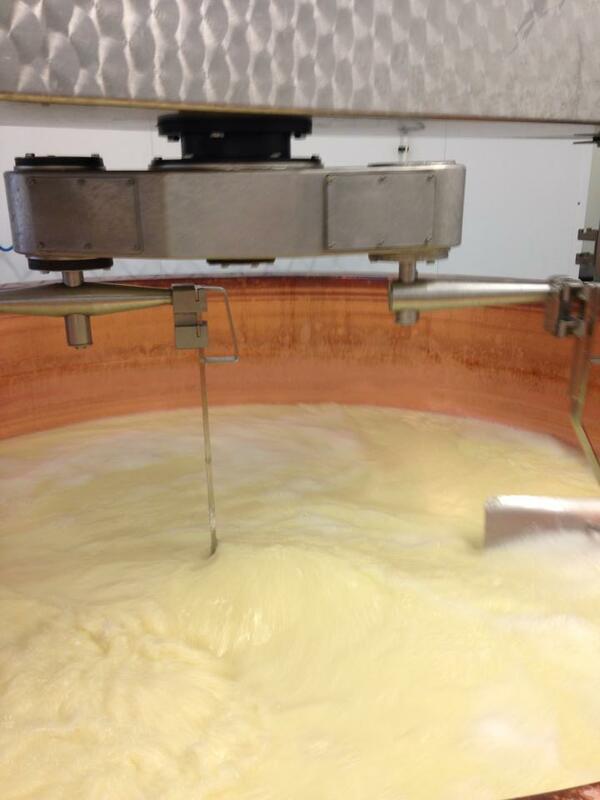 Five years ago, on a visit to Fromagerie du Presbytère in Sainte-Elizabeth-de-Warwick two hours east of Montreal, I noticed a young woman up to her elbows in curd in the make room—even though it was Sunday. NOW: One of its kind in Canada, a copper vat from France is used in the making of Zacharie Cloutier and other award-winners like Pionnier and Jean Morin’s Louis d’Or. 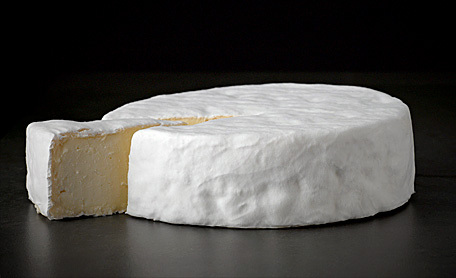 The next year, Marie-Chantal’s new cheese, Zacharie Cloutier, made its first appearance at Québec’s prestigious cheese competition, Caseus 2011, and struck gold. 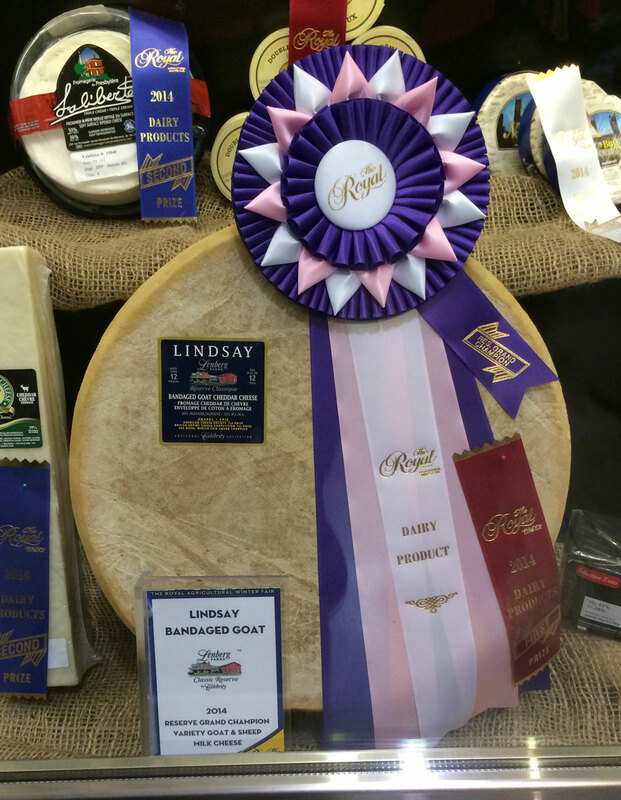 The sheep’s milk cheese was named best cheese in all milks. 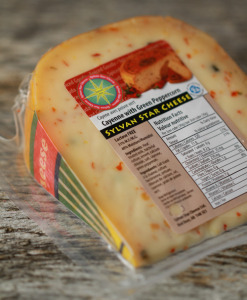 No cheese had ever won top honours at Caseus in its first year. Her star had begun to ascend in a hurry. 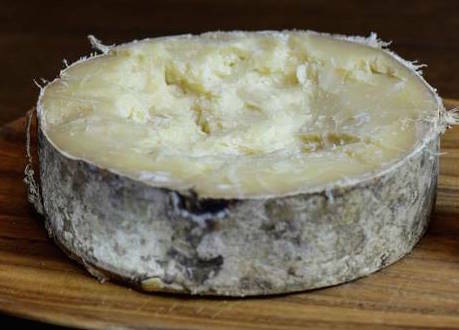 At this year’s Caseus competition, Fromagerie Nouvelle France, which Marie-Chantal started five years ago with her brother Jean-Paul, dominated the competition like no other cheese producer had done in the 16-year history of Caseus—confirming Jean Morin’s prediction. 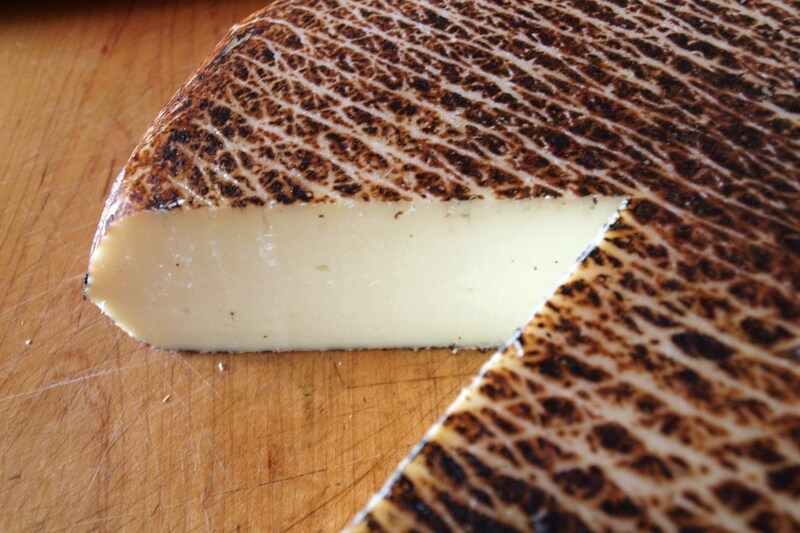 ZAC: The best sheep’s milk cheese made in Québec today. Zacharie Cloutier was named Grand Champion as well as Gold Award winner. 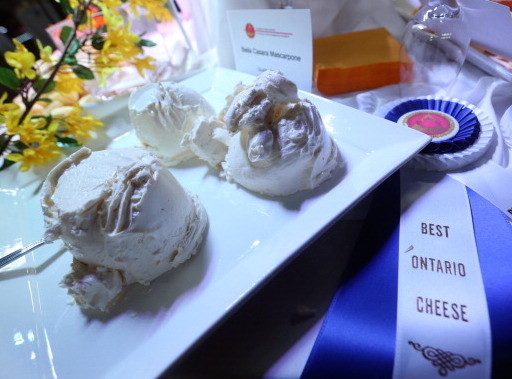 Nouvelle France also won the two sheep’s milk categories, Zacharie Cloutier taking washed, natural or mixed rind honours while La Madelaine was judged best bloomy rind. 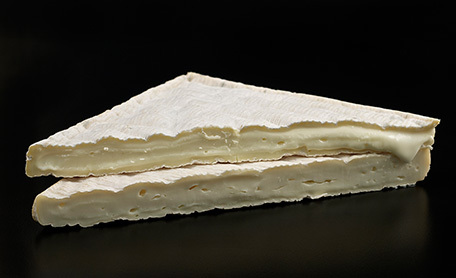 Additionally, Pionnier, a collaboration between Nouvelle France and Fromagerie du Presbytère, was named best blended-milk cheese. Fromagerie Nouvelle France is based on a 250-acre farm on the outskirts of the village of Racine, in Québec’s Eastern Townships. Jean-Paul tends to the East Friesian sheep, Marie-Chantal makes the cheese. 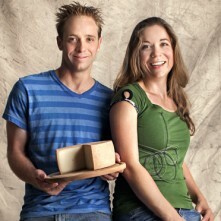 SIBLINGS: Jean-Paul looks after the East Friesians, Marie-Chantal makes the cheese. They’re the fourth generation in their family to work the land. 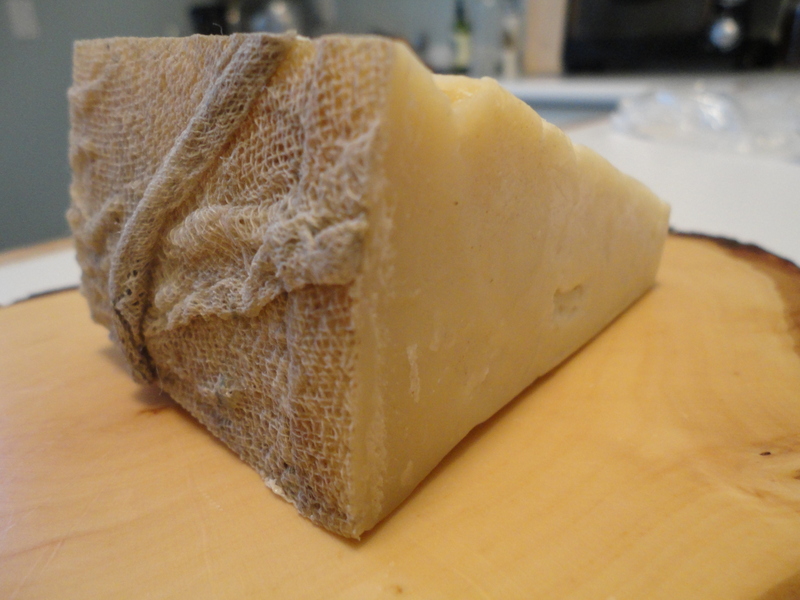 “Fromagerie Nouvelle France’s signature cheese, Zacharie Cloutier, is a raw sheep’s milk cheese, named for an ancestor who came to Canada from France in 1634. This ancestor is also said to be a distant relative of Céline Dion. 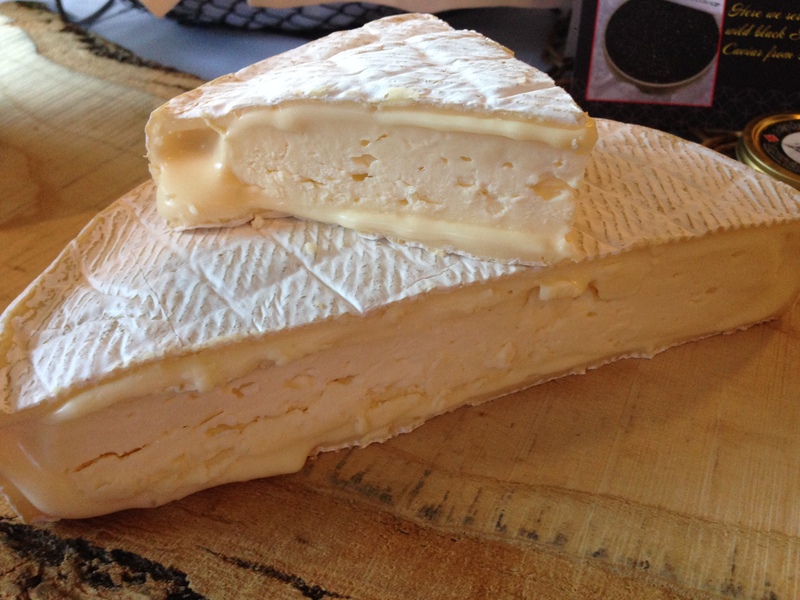 “Marie-Chantal’s love for her craft and talent transfers directly to her flagship cheese. 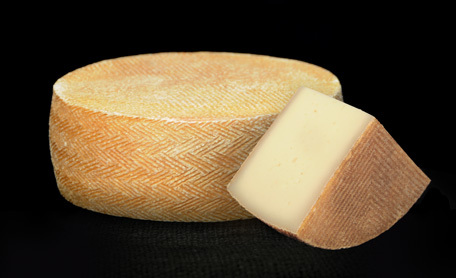 Zacharie Clouthier is a semi-cooked, firm, raw sheep’s milk cheese with a very distinct exterior basket weave design attributed to a specially selected mold that gives the cheese and apricot rind its unique appearance. Inside is a dense, meaty, bone-colored paste that portrays a mix of complex aromas and flavors: salt, butter, hazelnut, caramel, and coconut, with a hint of ripe pineapple. A rare treat. COLLABORATION: Marie-Chantal Houde and Jean Morin toast the introduction of Pionnier, now also a Caseus winner. Born on the family farm in Racine 30-something years ago, Marie-Chantal studied at l’Institut de technologie agroalimentaire in Saint-Hyacinthe, then at l’Université McGill in Montréal and l’École nationale d’industrie laitière et des biotechnologies in Poligny in the Jura cheese region of France. Jean-Paul Houde represents the fourth generation of farmers in his family. His knowledge of the fields, grains, soil and harvesting he owes to his grandfather. His father taught him animal husbandry, to love and care for the animals and, of course, how to milk them. Jean-Paul manages 400 East Friesian sheep of which 250 are milked in rotation. 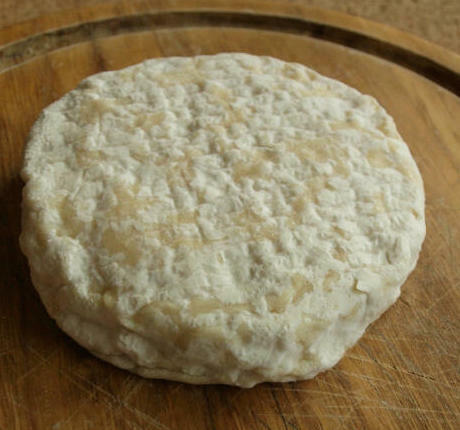 The Solidar sheep farms in Chicoutimi and the sheep farm Fou du Berger in Hatley also supply milk for cheesemaking. 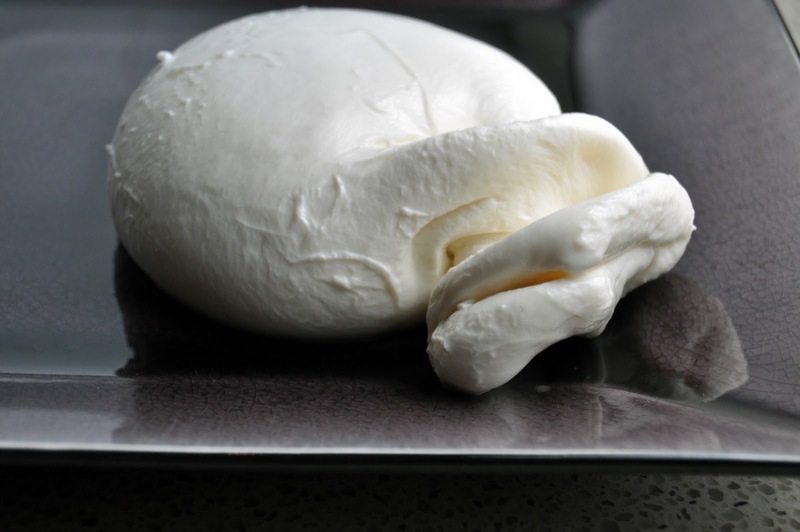 For Marie-Chantal, fine cheese is a marriage of art and science. Her passion for cheesemaking seems boundless. We look forward to seeing—and tasting—where her star will take her. Georgs Kolesnikovs is founder of The Great Canadian Cheese Festival and Canadian Cheese Awards/Le Concours des fromages fins canadiens. Where can I buy Zacharie Cloutier outside Québec? Les Amis du Fromage, 175 West 2nd Avenue, Vancouver. 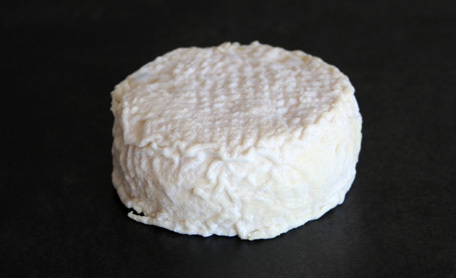 Fromagerie Nouvelle France cheese is distributed by Plaisirs Gourmets.